After graduating in 1967, David Nash has been living and working in Blaenau Ffestiniog, Wales, where he enjoys constant inspiration from the Welsh landscape. It is here that he creates sculptures by working with trees, wood & the natural environment. He has even created works from living trees; his artistic concepts focusing predominantly on the relationship between man and nature. Wooden Boulder had been resting peacefully in the upper end of the Dwyryd estuary since 2013. Nestled in the lee of a small island, it looked like it had settled in for the long haul. But the heavy rains that lashed so much of Britain in August 2015 produced unusually high tides that somehow dislodged the artist’s great ball of oak. Nash has been looking for it ever since. 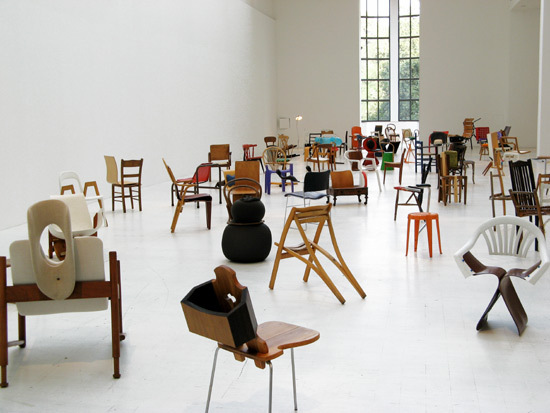 Isolated from the prevailing trends in British art during the 1960s and 1970s, Nash found his own voice as an artist. 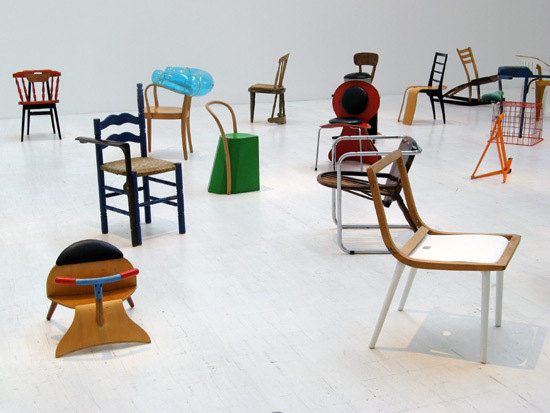 He worked almost exclusively in wood, fashioning abstract sculptures with axes and chainsaws. Success grew: solo shows in Britain and then abroad, critical acclaim, and ever-growing sales. Nash cut down the tree in the spring of 1978 and chopped the trunk into a roughly-hewn ball that was about three feet in diameter. He planned to roll the ball down to his studio and work it up into a large-scale sculpture. But that was easier said than done: the ball weighed at least half a ton and had the potential to wreak havoc if he lost control of it. Nash concluded that the safest thing was to transport the boulder down the hill in the neighbouring stream. But his bright idea quickly backfired. Within minutes, the boulder was stuck. It had become trapped halfway down a small waterfall, and despite repeated efforts it wouldn’t budge. A defeated Nash was left with only one option: to wait until the object moved by itself. He had been waiting six months when a surge of rainwater finally pushed the boulder into the pool below the waterfall. This was the opportunity he’d been hoping for. He fashioned a makeshift net and hauled the boulder out of the pool. His sense of triumph, however, did not last long; a few days later some mischievous teenagers pushed the boulder back in again. Nash removed the boulder for a second time and rolled it to the top of the next waterfall along the stream. It spent a year in that spot, which the artist recalls as being particularly beautiful: ‘There was a wild plum tree next to the boulder, so in the spring it was covered in little white petals. It was lovely.’ Nash’s perspective was clearly changing. He was no longer determined to get the wood to his studio; he’d realised that the journey itself was the artwork. Nash filmed, photographed and drew what he now called Wooden Boulder for eight years in that second waterfall, until its tale embarked on a further twist. The owners of the land on which it had settled were selling up. Nash was worried that the new owners would either prevent him from accessing the stream or dispose of the boulder altogether. ‘I decided I had to intervene for the sake of the story,’ he says. ‘I couldn’t let it end there.’ So one day in 1988 he gathered some friends together, and they rolled the boulder across the property line to safety. It remained in that position for another year, when a further storm carried it several hundred metres downstream. Nash claims that his questions were answered by the boulder itself. ‘It told me: “If you take me back to the studio I’ll dry out and I’ll crack. The story will be over.”’ So Nash rolled it around the bridge and released it downstream again. Wooden Boulder wasn’t out of the woods yet. The farmer may not have understood Wooden Boulder, but he’d gone a long way to saving it. And when a group of admiring students later rolled the piece back into the river, it was on the move again. Wooden Boulder first disappeared in November 2002. ‘That was a momentous event,’ admits Nash. ‘I’d got so used to it being around.’ Nash and the locals spent more than a week searching for the piece. The park wardens even put up a ‘wanted’ poster around the estuary. Ten days after its disappearance, however, Nash received a phone call from a friend: ‘Davey, have you lost your boulder?’ Nash’s friend had found the piece on a sandbank. Over the next six months the boulder was in a constant state of movement, travelling up and down the river on an almost daily basis and settling wherever the rain, wind or tide took it. Wooden Boulder had become what Nash excitedly called a ‘free-range sculpture’. It disappeared again in April 2003, and though it was briefly sighted in 2008, it was gone for the best part of a decade. Nash presumed that Wooden Boulder had gone out to sea, and he gave up hope of ever seeing it again. In August 2013 he received another decisive telephone call from a friend. Nash put down the receiver, jumped into his car and hurtled off to the Dwyryd estuary. When he walked out onto the riverbank, he saw a local family staring at his long-absent masterpiece. Nash looked at Wooden Boulder — which he estimated had travelled as much as 50km up and down the river before settling — and was cheered by its belated homecoming. Was it back for good? Or was it, as Nash suspected, simply making a ‘final lap of honour’? It is 38 years since David Nash brought Wooden Boulder into the world. Their lives have since progressed in parallel: both have grown older and craggier. Nash has observed, photographed, coaxed and protected his piece with the love and care that one might typically expect of a parent. Indeed, in his less guarded moments Nash speaks of Wooden Boulder as though it’s an errant yet ultimately lovable son. But like any good parent, Nash is just as dependent on his offspring as his offspring is on him. ‘Wooden Boulder underpins everything I do. It’s where I’ve really got it,’ Nash confesses. ‘It’s probably my most satisfactory statement as an artist.’ He may well be right. It is now recognized around the world as one of the most original and important sculptures of the past half-century. It is a profound rumination on the relationship between nature and culture, time and place. And like all great works of art, it defies easy categorisations. Is it land art? Performance art? Conceptual art? Or is it just public sculpture? "The craft ethos is coming back into life somehow...people want to touch it again, they want to feel that someone's made this; it hasn't come from a machine or a factory, somebody's actually sat down and thought about it and used their eyes and their hands and they've made this thing..."
Listening to Alan Kitching talk about the practice and art of his craft is an inspiring thing. 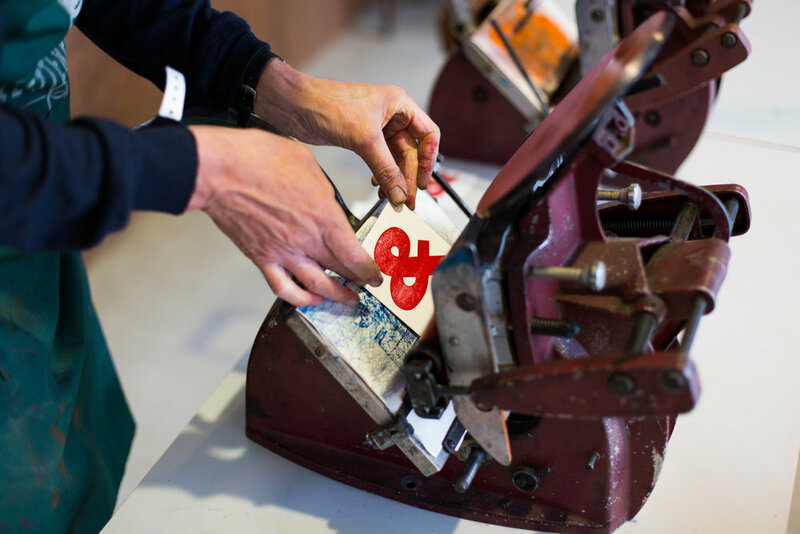 A leading practitioner in letterpress printing, typography and design, Alan uses only traditional methods for printing and refrains from using technology to aide his artistic process. Alan's knowledge, talent and ongoing passion for the authentic, age-old printing process is encouraging a resurgence in the design world. Many digital designers are especially looking to the qualities found in good craftsmanship to incorporate into the aesthetic of contemporary digital design. Writers and critics have been calling it 'a renaissance of craftsmanship'. In an age where technology dominates almost every aspect of life, the past decade has welcomed the rapid return of the handmade quality, aesthetic & process into digital design. Alan has developed a style that allows him to move and work with the contemporary times but also to stay loyal to the element of craft. Something that, upon close observation, is always evident in his quite graphic work: the imperfect, tactile, subjective, human, natural qualities that can be found in craftsmanship. His recent collaboration with Monotype is a perfect example of how Alan can adapt and thrive in the digital age. Two of the biggest typographic forces who are at the top of their game in their respective fields; one works with his hands, the other works with technology. Monotype are global trailblazers in type and home to some of the world's most popular typefaces including Times New Roman, Gill Sans and Arial. The collaboration with Alan is first and foremost a celebration of type, but it was also a chance to see what qualities the handcrafted element can bring to typefaces that were conceived digitally. Alan collaborated with Monotype to produce a collection of work that would pay tribute to five influential graphic designers of the past century: Tom Eckersley, Abram Games, FHK Henrion, Josef Müller-Brockmann and Paul Rand, honouring their life and work. He chose individual typefaces from the Monotype archives for each designer, he then created his own hand-cut letters out of card to be used on the printing press. He produced five pieces for the exhibition that all feature overlapping type; choosing distinct colours and compositions that would represent the work of each individual designer. The monographs were then mass screen-printed and made into leaflets to accompany the exhibition. The finished pieces blur the line between handcrafted and digital art, even so, on close observation the craft element shines through in the finer details; a brush stroke or a tiny bleeding of ink into the paper, these are some of the unavoidable and beautiful qualities of handcrafted that can add depth and character to the art of digital design. The video below shows a glimpse behind the scenes of the Kitching/Monotype collaboration process, well worth a watch! Alan Kitching and Monotype from Monotype on Vimeo. Hazel is a London based designer-maker creating unique textiles through natural processes. 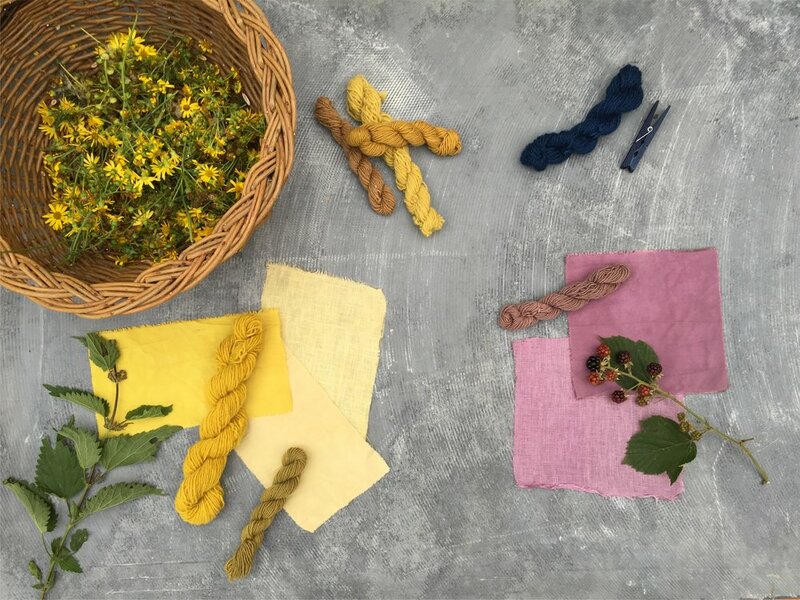 In researching and developing her natural dyeing methods, Hazel has tried and tested formulas that can produce exquisite colours. 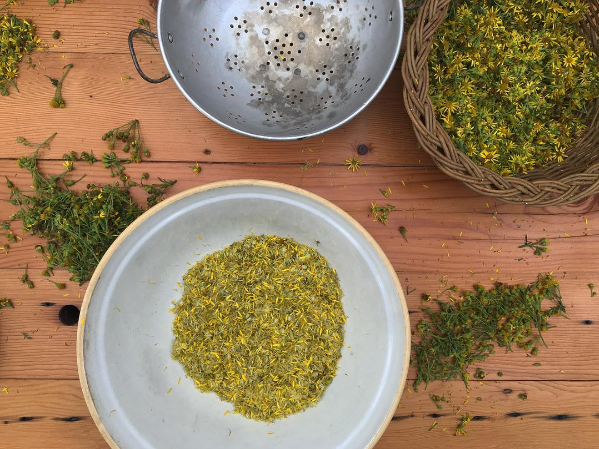 She works with only natural ingredients: from trees, plants & flowers to seaweed. Hazel decided to leave the big smoke to spend a Summer with us working as a Pizzatipi chef; helping to come up with tasty salads, desserts and pizza specials. That was three years ago and she's been a great friend of fforest ever since. We are huge admirers of Hazel's work. 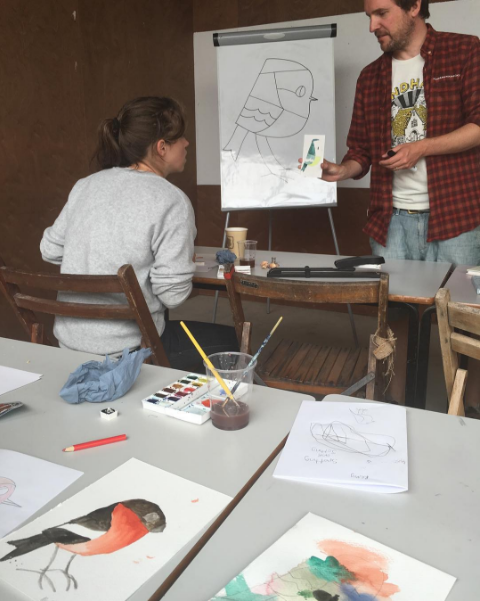 We got to learn lots about it during the time she spent with us at the Pizzatipi, so it was a no-brainer that we should invite her to share her knowledge and artistic skill with us and our fforest Gather guests. 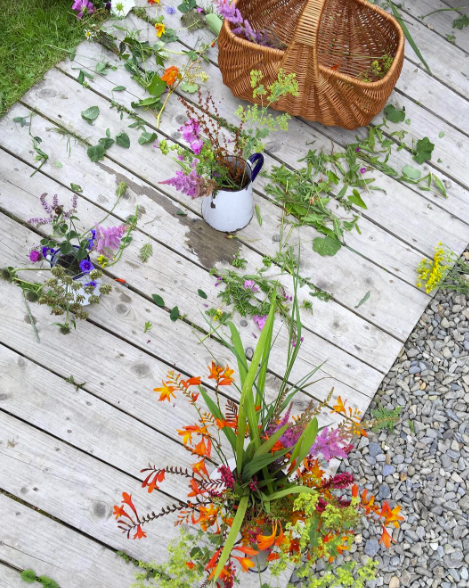 Last year, Hazel led her brilliant natural dyeing and indigo dyeing workshops at fforest farm; foraging for plants and flowers to then be used to dye fabric. 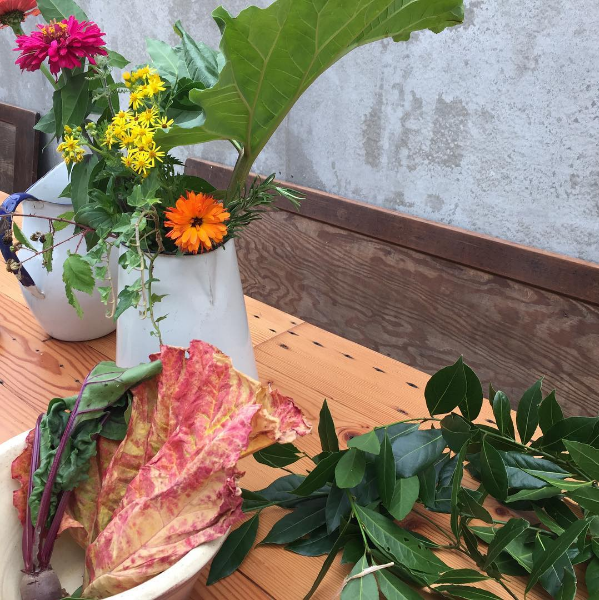 Hazel's workshops are insightful and fulfilling as a result of dyeing fabrics naturally with plants and flowers foraged by your own hands. You learn so much and are astonished at the array of beautiful colours you can produce from natural dyeing recipes. We're very excited to have Hazel back with us for both weeks of Gather this August. Nick brings age-old machinery, technique & skill to his Gather workshops. 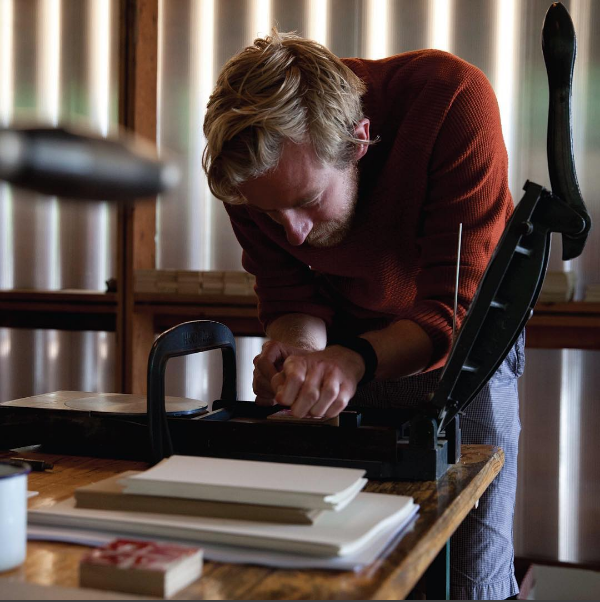 Now considered an artisan craft, letterpress printing is beautifully revived and celebrated by Nick and his letterpress team, and then shared with our eager Gather guests. Nick will be joining us for the 2nd time at Gather this year. He will teach you all about the art of printing with presses, an authentic mode of printing that is often overlooked in today's digital world. But it is an art-form that should never be forgotten. Printing in this way creates more than just a beautiful finished product, it becomes an art from start to finish. Every element of the process needs artistic attention: choosing your paper, letters, ink, composition... a satisfying and utterly fascinating workshop with beautiful outcomes. Bringing slumbering presses back to life to engage with artists, writers and community projects in Bristol. 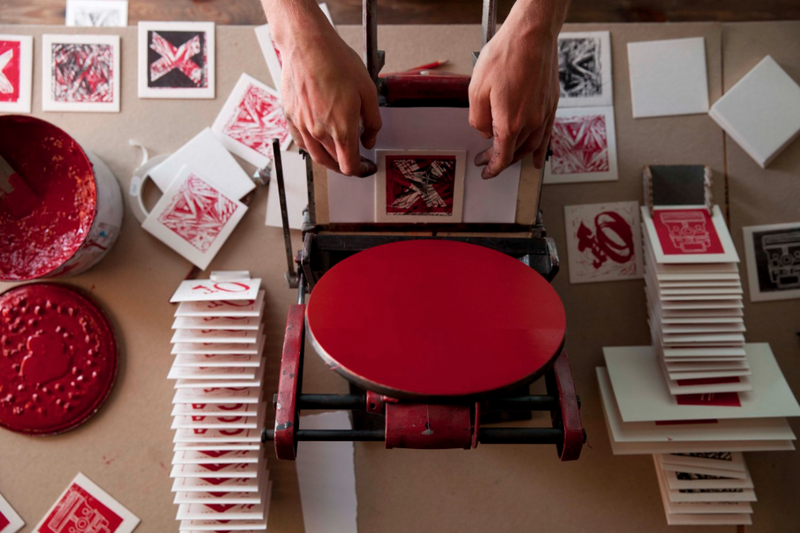 The Letterpress Collective teaching both type composition and printing skills. The Letterpress Collective has spent 2013 gathering beautiful wood and lead type as well as collecting amazing printing presses including a lovely Heidelberg Windmill Platen (winched out of the store MShed by dockside crane), a Stephenson Blake proofing press and a set of nice little Adana hand presses. Silently, and without anyone really noticing, the last commercial letterpress printer shut its doors in Bristol in 2012 after maybe 600 years of continuous work in the city. 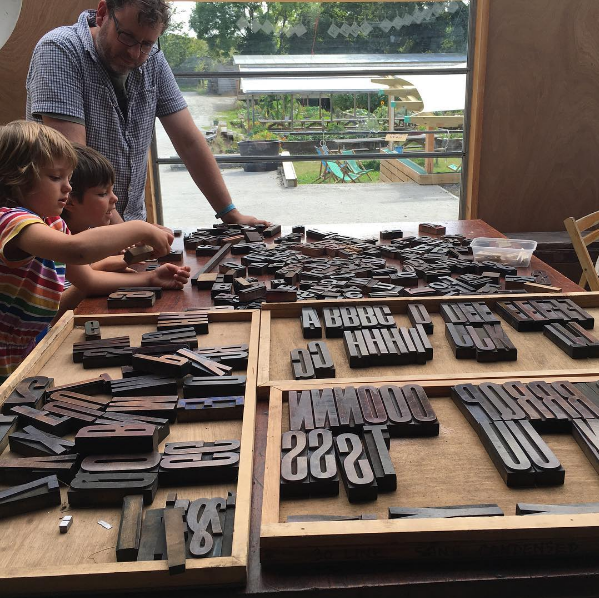 This is our chance to learn from the last of the printers and compositors in the city so that a new generation can understand and learn the thrill of working a small press and seeing your creation in ink on paper. 1. Roughly how long does it take to complete a design? It can take anything up to three hours to complete a design. Any longer and the tide is on its way back and all will be lost before it's completed...! 2. Whats tools do you use in order to create your sand circles? The tools are actually very basic and comprise of sticks, rakes and string. I create a giant drawing compass with the sticks and string so can produce very accurate circles. The sticks are used to draw the lines in the sand, the string can also be used as a straight edge if stretched out between two sticks. The rakes are then used to rough up the surface of the sand giving the contrast of light and dark. If the light is right this can be quite dramatic creating a strong black and white image. 3. In a nutshell, what drives you to produce sand art? What a delight it is to have such extraordinary artistry right on our doorstep!